yrf Studios was transformed into 1940s Calcutta where Director Dibakar Banerjee, along with leading man Sushant Singh Rajput, launched the trailer of Yash Raj Films’ forthcoming adventure thriller Detective Byomkesh Bakshy! Sushant, dressed nattily in a cool designer dhoti and a typical Bengali jacket, arrived in a hand-pulled rickshaw, a popular mode of transport in Calcutta. He also surprised the audience by pulling the rickshaw off-stage himself! Sushant in his cool style, along with Dibakar Banerjee in his inimitable style, interacted with the media and left the audience applauding and wanting the session to continue. 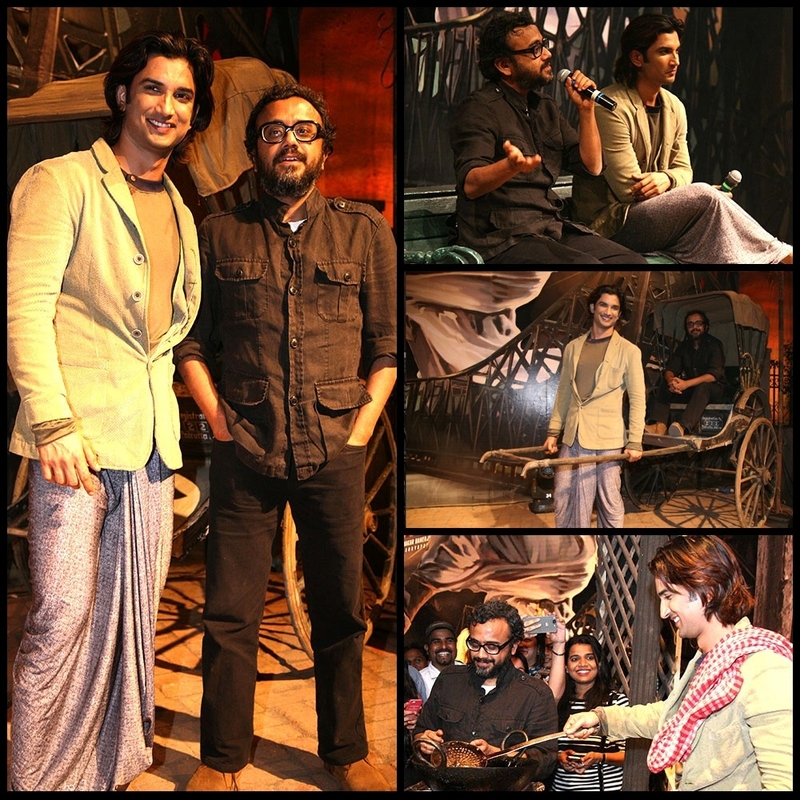 At the trailer launch, coincidently on Sushant’s birthday, everyone was treated to delectable Calcutta street food fare like Luchi, Aloo’r Dum, Jhal Muri, Momo and Mishti Doi in a backdrop replete with a larger than life Byomkesh Bakshy jumping over the iconic Howrah bridge and street vendors completing the realistic world of 1940s Calcutta… and this is just the beginning!